Do you want to visit Mallorca in all its splendor? You cannot miss the excursion in Calvià that goes through Son Font and Galilea. It’s more than amazing. If your thing is to hike, to know everything from a totally different perspective and appreciate the history of a place, then you are in the right place. Excursion in Calvià – Son Font – Galilea: What is it like? 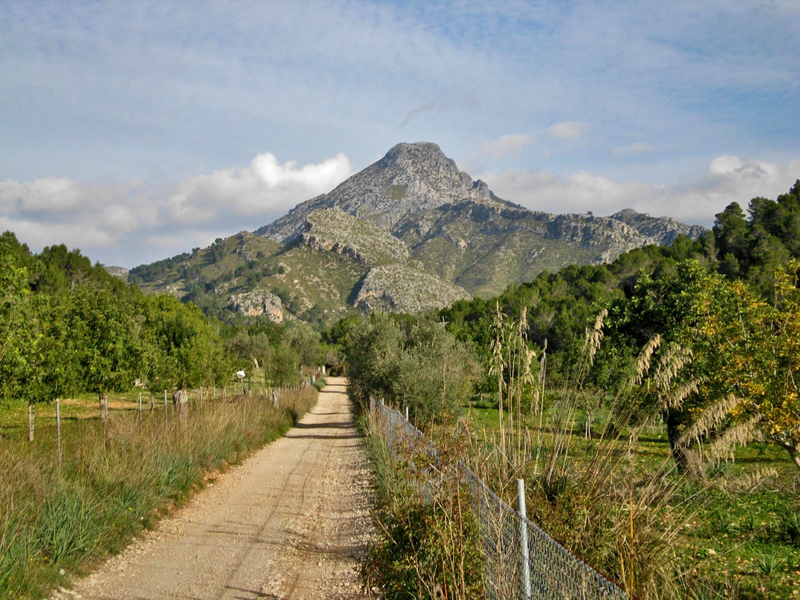 The excursion goes along a path that connects the town of Calvià with the town of Galilea passing through the urbanization of Son Font. From this route you can get incredible views of the coast of Calvià, the mola of S’Esclop and the mountain of Galatzó. During the tour you can see many ethnographic elements accompanied by a typical Mediterranean vegetation and you can also appreciate traditional Mallorcan architecture, which is very present in the villages of Calvià and Galilea. It’s a route filled with culture that you can’t miss. The total distance of the route is approximately 9 miles and the estimated time of duration is 4 hours and a half (round trip). Maybe a little long for families with small children, but it’s definitely worth it. Also, even if you don’t believe it, the trip on the route is completely free and can be done at any time of the year. The route usually starts at 5:40 pm at the Calvià bus stop and ends at 7:40 pm. The route is very well marked, so there is no way to get lost between the streets, the forest, the mountain or the different landscapes of open fields that have a breathtaking view. Without a doubt, it’s one of the most popular excursions to see on the island. Between the culture of the cities and the spectacular landscapes, you will have an amazing visit. Visit Mallorca and don’t forget to go on a excursion in Calvià, Son Font and Galilea. 1 Excursion in Calvià – Son Font – Galilea: What is it like?